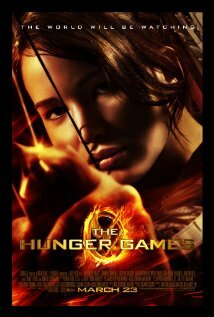 “The Hunger Games,” the first novel in a trilogy of excellent books by Suzanne Collins, will debut on the big screen this Friday, March 23. I read a couple of interesting posts about the book/movie yesterday. One was a blog post by Julie Clawson that appeared on the Huffington Post. The other was a blog post from Jonathan McKee. …and “The Hunger Games” is, in the end, not just an action-packed story, but an exploration of the sort of love both Panem and our world need in order to survive. I encourage you to read her post and to check out the other things she has written concerning “The Hunger Games” on her blog. McKee’s post is a follow-up to a previous article on his “The Source for Parents” website. The thing I appreciate about McKee’s approach is that he really challenges parents (and teens, too) to be better at discerning what movies (and other media) they consume. Because of the story plot in “The Hunger Games,” children killing each other for the entertainment of the privileged class of people living in the “Capitol,” many parents simply and/or blindly assume that the book/movie should not be read or seen. McKee challenges that notion. I don’t always agree with everything he says in his media reviews, but I think he’s right on the main point here. Read his post and then read the book and see the movie. Read/watch with your teens and have a discussion about the issues the book/movie raises (perhaps your discussion could center around the idea of Love as presented in Clawson’s post above).